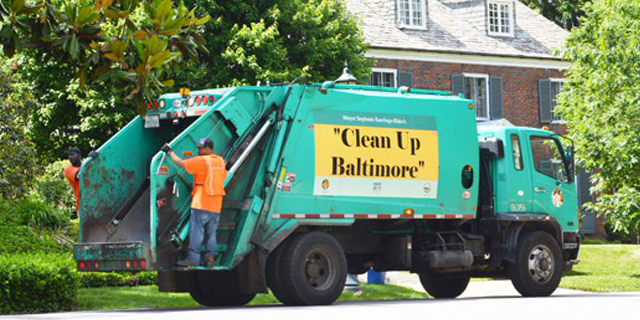 DPW's Bureau of Solid Waste is responsible for maintaining the cleanliness of our city for residents, businesses and over 15 million visitors annually. The Bureau provides curbside trash and recycling pickup including bulk items and seasonal waste for 640,000 residents in approximately 210,000 households citywide. The Bureau also provides vacant and abandoned property maintenance services, responding to 42,000 requests annually. The Bureau provides public right of way cleaning which includes sweeping city-owned streets, alleys and lots, as well as mowing high grass and weeds on public lots. Other services include graffiti removal and rat abatement, as well as coordinating community pitch-ins and special collections such as Christmas tree and yard waste seasons, Household Hazardous Waste weekends, and Citywide spring and fall cleanups. As part of a comprehensive effort to improve the cleanliness of the City, in 2017 the Bureau reorganized its divisions to be focused geographically. 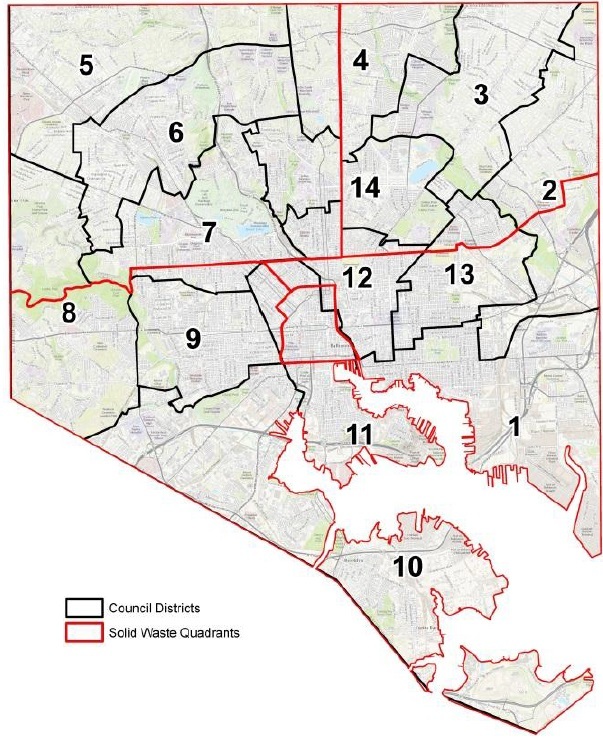 Divisions are now organized based on quadrants of the city - Northwest, Northeast, Southwest and Southeast. The routine services, special services and property management services are now included in each Quadrant Division. Each Quadrant Division Chief and their Staff are responsible for delivering Solid Waste services within the assigned quadrant. The Bureau is responsible for ensuring that public and private sector waste is disposed or reused safely and efficiently in accordance with government regulations and mandates. This includes management of a 125-acre active landfill at Quarantine Road in Baltimore as well as contracts and agreements with the Wheelabrator Waste to Energy facility, recycling service providers and long-term maintenance of six closed landfills. The Bureau’s long-term goal is to reduce the volume and amount of waste deposited into landfills, extending the life of these valuable assets and making the City self-reliant for the future. Schools may schedule free environmental presentations on recycling, source reduction and waste management by calling Recycling Office at (410) 396-8966. If you see illegal dumping in progress, call 911. To report illegal dumping in your neighborhood, call 311. Find your trash and recycling collection days! Click here and enter your address on the CityView web mapping application! Please visit the recycling section.